That’s no pothole…that’s a crater! 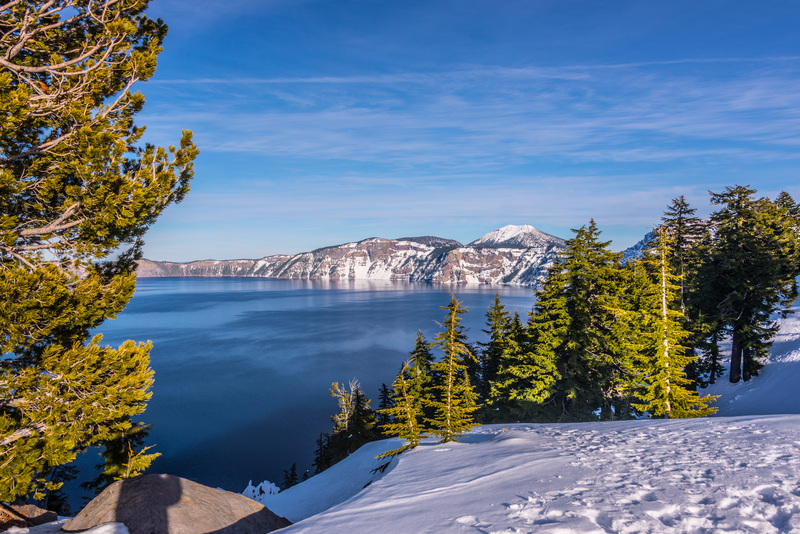 We couldn’t go clear up to Klamath Falls and not go the 60 miles farther to Crater Lake! It’s always a question whether the road will be open up to the top in winter time. 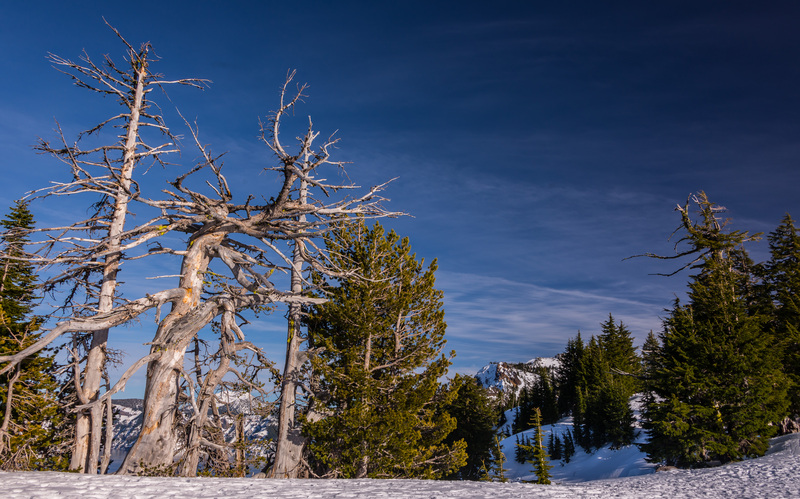 The place gets an average of 40 feet of snow between October and June each year! What luck for us…they’re having a low-snow winter this year….and sunny, blue skies! What a place when the weather is clear! What views! Other than the few people who were around…how quiet! And how’s this: we saw a bunch of sweet moocher birds right there on the lip of the lake! We were closer to birds up there than we’d been down in the valley! 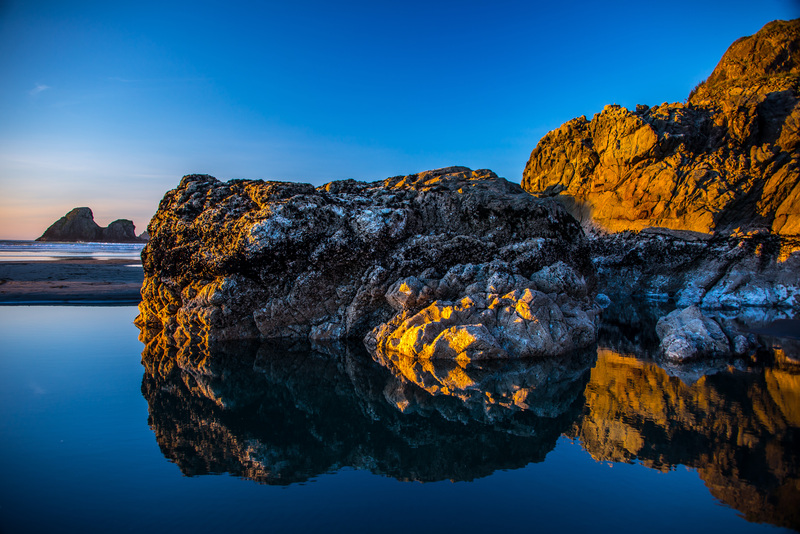 That lake has some of the clearest, cleanest water…because it has no rivers running into or out of it. 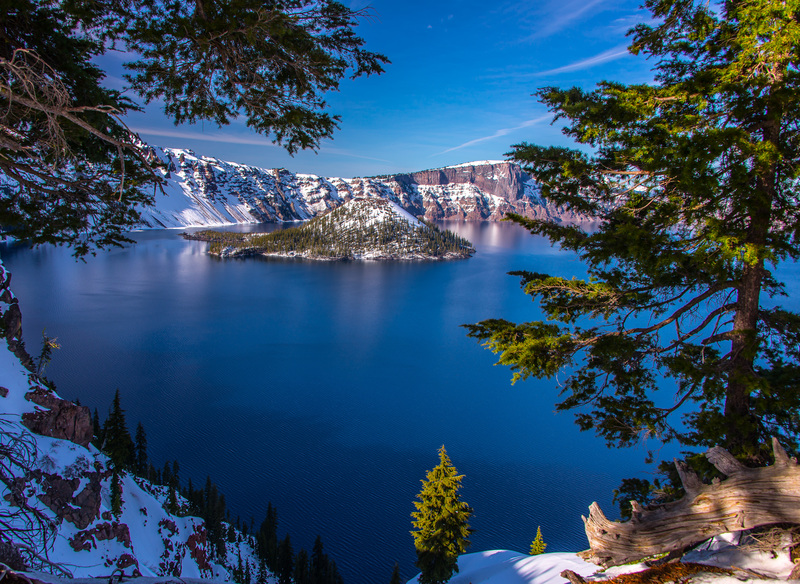 It is the deepest lake in the United States at 1943 feet. 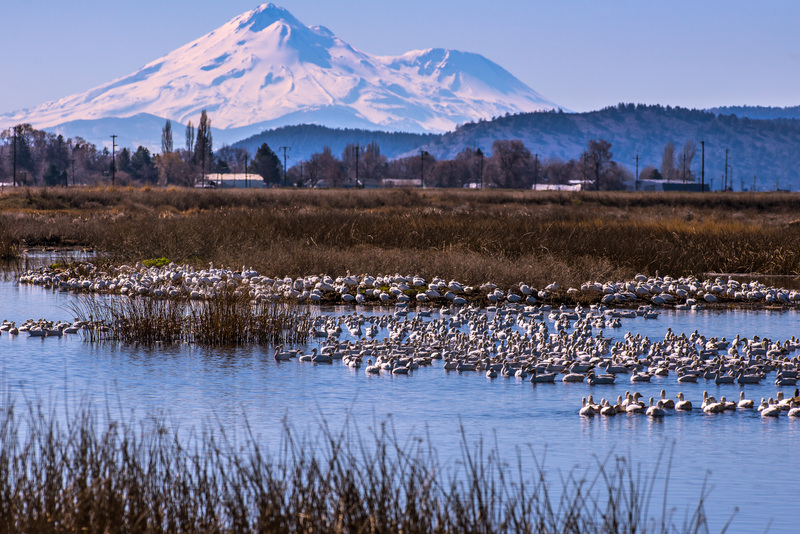 It’s sure true…there are a whole bunch of waterfowl hanging around Klamath Falls! And that picture indirectly shows why they’re here…the nice, shallow lake waaaaayyy out in the middle of a huge field. Those lakes and fields are everywhere. And the birds have no interest in sitting still for a photographer to take their portrait! Here’s the closest I could get…with a 300mm lens, and with a bit of a crop on the image. Terrible photo, by the way, but I’m not able to spend an hour waiting for more action…. Even at the lakes where the auto tour route had two-tracks right along the water, the ducks and geese would paddle toward the center of the lake as we would approach. And the eagles….wow, they’re even smarter than I thought…they now sit out in the field on the irrigation equipment alongside the ponds & lakes. There would sometimes be 7 of them sitting there! Half a mile from a roadway…. Sooooo, I have no close photos of birds! Except for this lovely pair…. 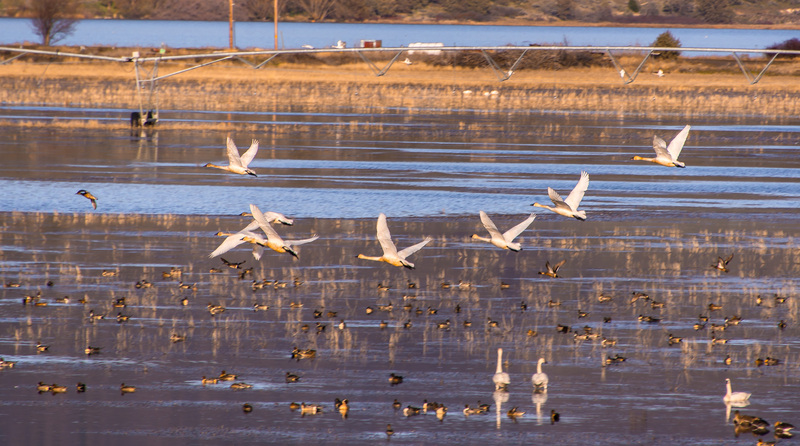 Not really complaining, because we saw many lovely flocks of interesting birds, and the Klamath Basin is a lovely area of Oregon….with lovely sunsets…. 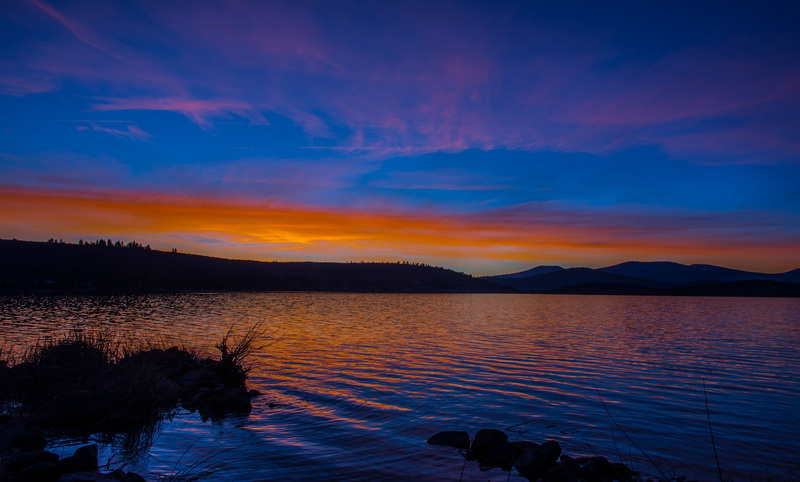 So we arrived in Klamath Falls, Oregon for the 36th Winter Wings Festival. These people are really organized and really love this event….and really know their stuff about birds and this territory. 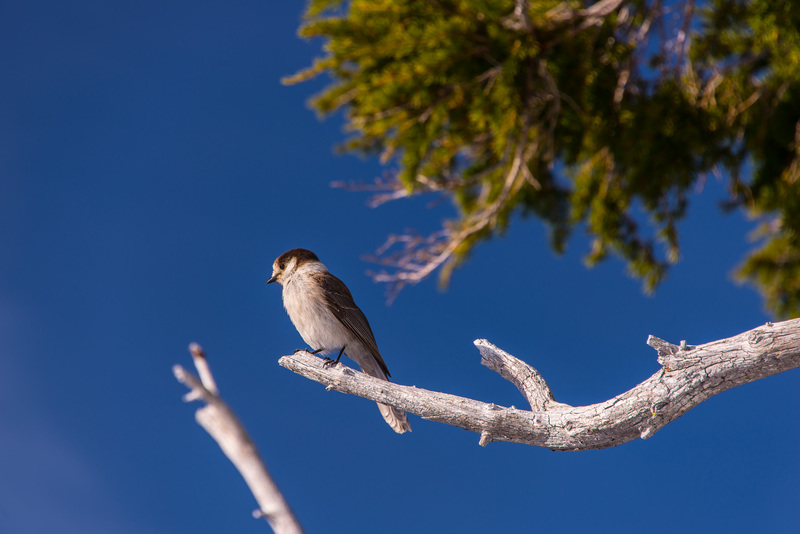 Birds in Oregon in winter, you ask? I sure did. The town is surrounded by lakes, marshes, and flooded fields! It’s considered one of the most important staging areas in North America for migrating waterfowl. 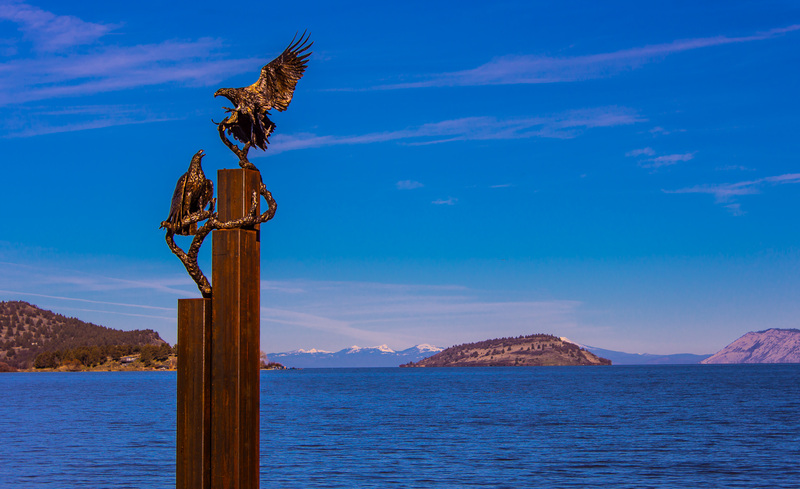 And…the presence of those birds attracts large numbers of Bald Eagles and other raptors. Now you know why we are here…. In years past, the area had numerous marshes, but many were drained by farmers and used for crops. 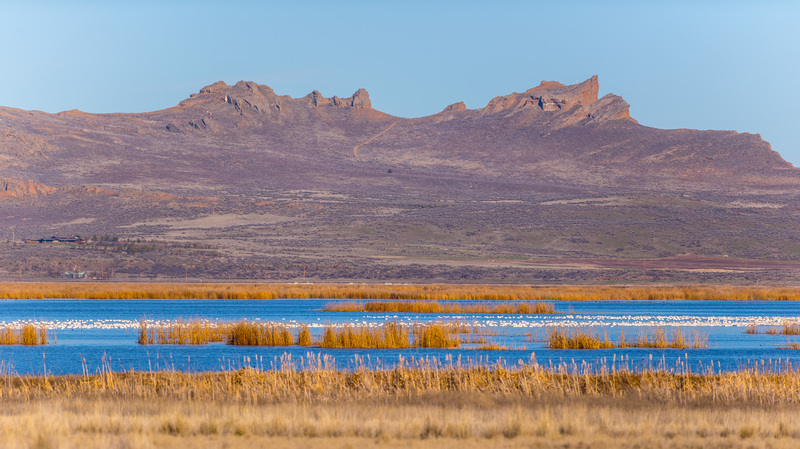 The US Fish & Wildlife Service initiated a program to pay farmers to flood their fields during the off-season for growing…which occurred during the fall and spring waterfowl migrations. 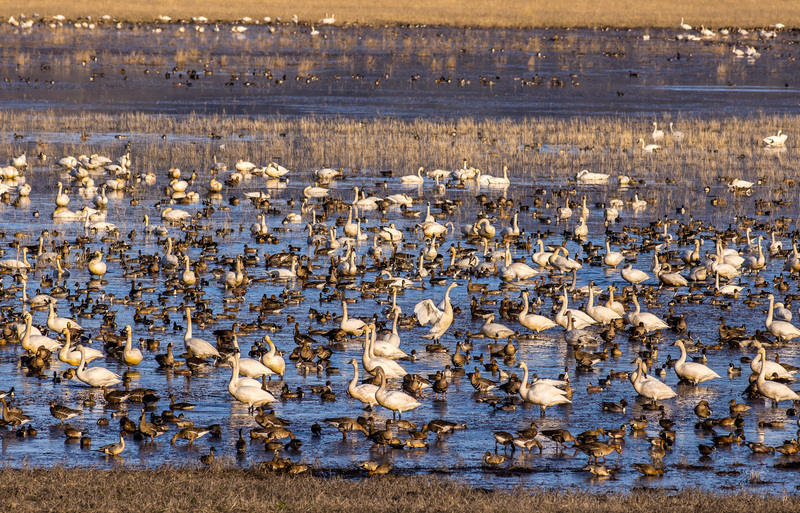 The process has apparently benefited the fields for growing crops, and it certainly has benefited the waterfowl migration…just look at them! 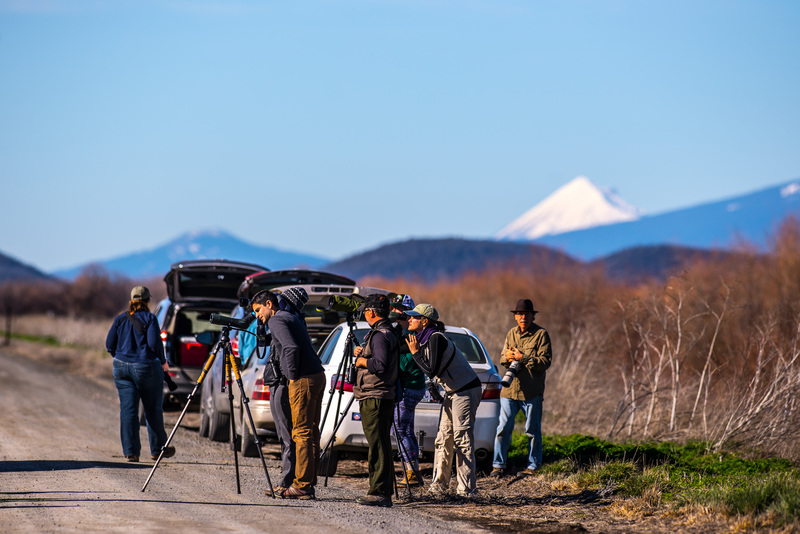 The festival attracts nearly 500 birders and photographers…who spread out for miles around. Your clue there’s something especially interesting nearby is when you run across a group such as this one with their spotting scopes set up. Sure enough, a Great Horned Owl (sorry, backlit among branches, too far away even for my big lens). 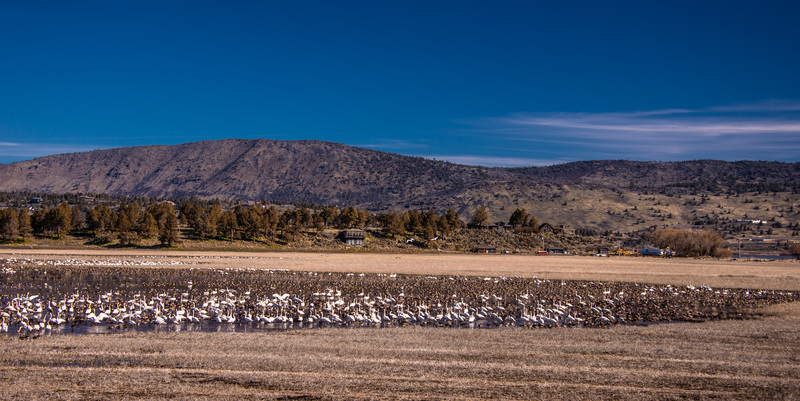 The scenery is pretty minimal around Klamath Falls (although Mt Shasta in the background ain’t too bad, eh?). 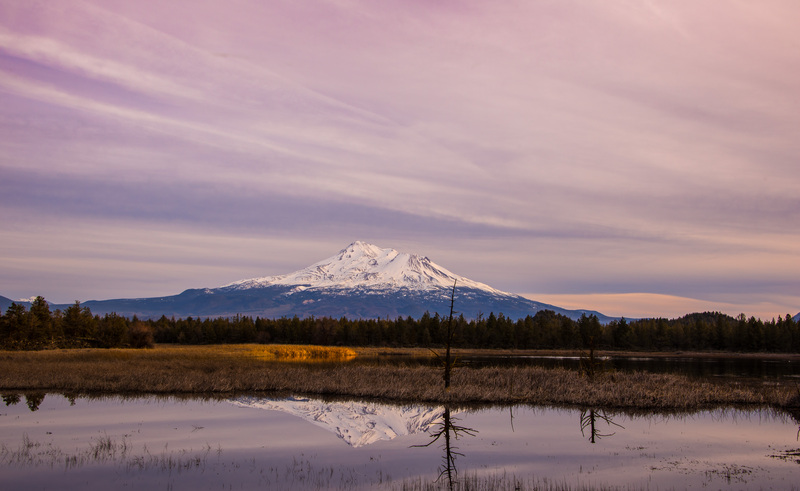 That’s because the area is surrounded by ancient lava beds. Flat, flat, and flat. 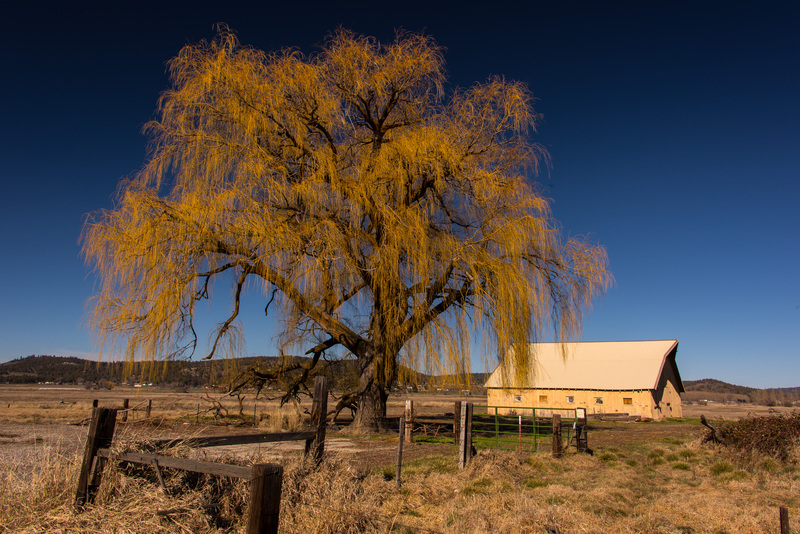 But the dirt is good stuff, and the area is blessed with a decent water supply…so it’s great for farming. So we drive around slowly. Many of the flooded fields and shallow ponds have gravel two-tracks beside them, and there is a formal Auto Tour route with numbered signs for various points and ponds. Lotsa birds. Few flying. Fewer eagles flying. Everybody shy. Biggest groups in fields that are farrrrrr from the roadway, and the property is private so you can’t walk closer (but the birds would fly if you did….which would be a great photo!….but the disruption of so many birds would be noticed….and besides it’s really bad form). For something completely different, we took a road trip! 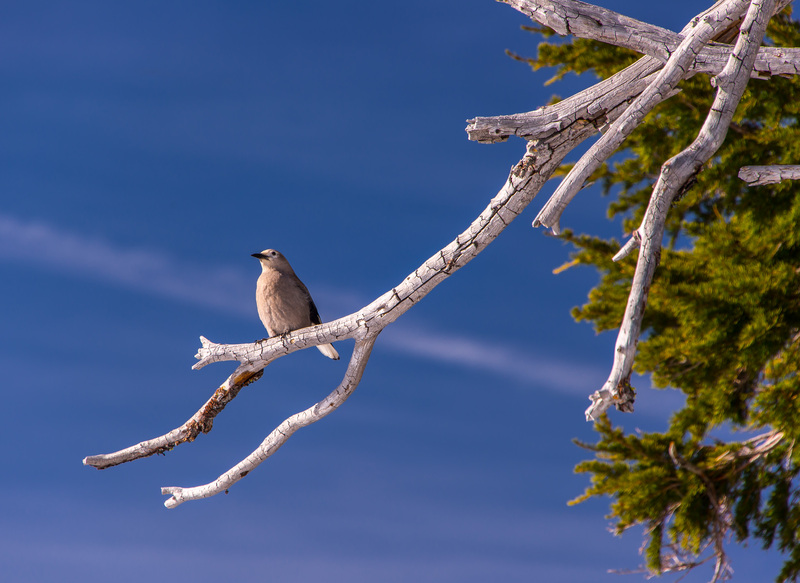 There is an annual Winter Wings Festival in Klamath Falls this time of year that we like to attend. It’s a fair bother and expense to drive the Big Taxi up to it for just a few days, and staying in a hotel is a novelty for us, so we drove the Lil Taxi. Ran across this massive mound along the way….. 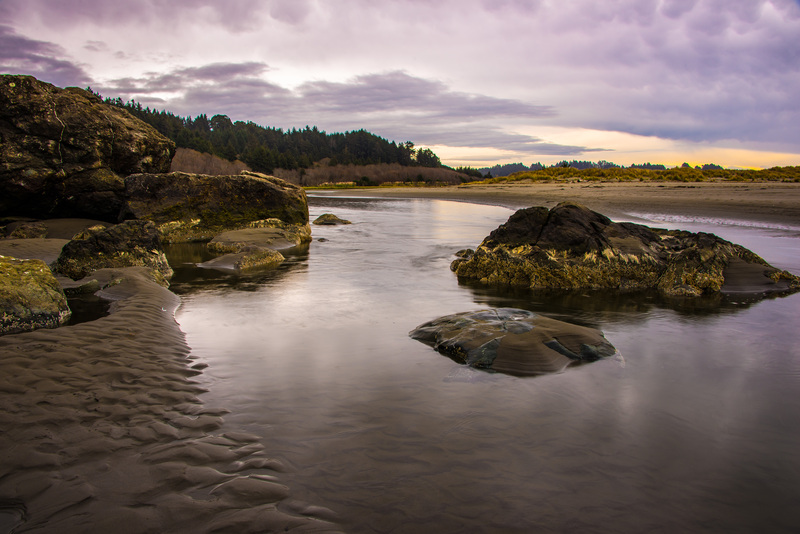 The Little River pours into the Pacific at Moonstone Beach. No real drama, but the last 100 yards of the river’s flow can be schizophrenic…is the tide coming in or going out?…are the ocean waves large or small?…did the last high tide put up a new sandbar across the river’s mouth? Farther back upriver but still alongside the beach, there’s less change….although it seems the aquatic plant life is a mixture of salt- and fresh-water varieties. Still, life is much more placid and predictable….just look at this scene…. 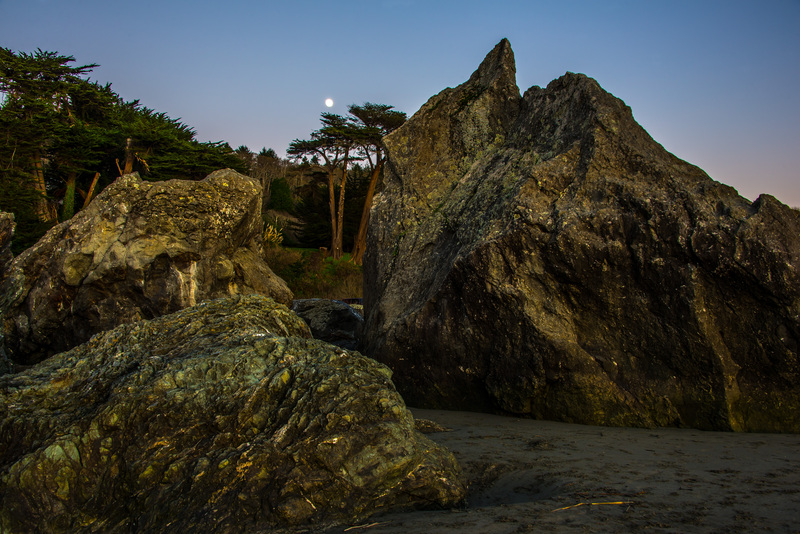 Beside the river, looking from the beach to the shore, the large moonstones lie in front of a towering hillside from which grows towering evergreen trees….and I caught an early rising moon that was two days shy of full! 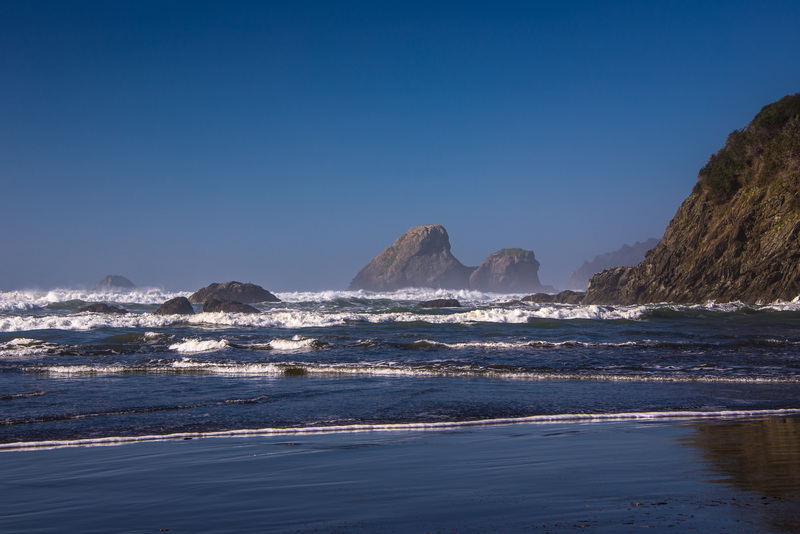 I have found many different moods at Moonstone Beach, and it offers a number of different views. 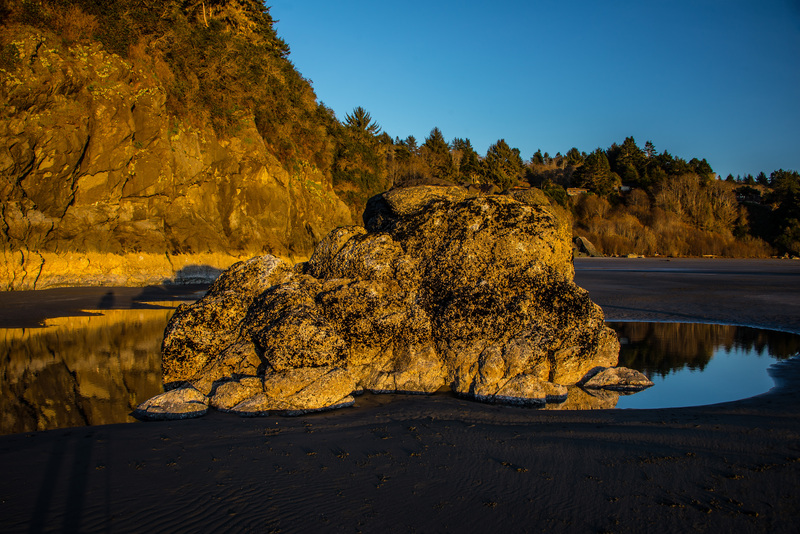 Here, a time of extremely low tide offers views of several rocks that are rarely available…because they are at least waist deep in ocean water, even at the usual low tide. You can see they are covered nearly to their tops in barnacles and other organisms. This picture shows the looooong flat run of sand up to the shoreline. From where I am shooting, a good incoming tide will add over 9 feet of water! This cluster of rocks is just to the left about 30 feet from the prior stack, and the pictures were taken less than 4 minutes apart! There’s a beach just 11 miles from our coach that we often visit. It’s not our favorite, mostly because it has no facilities for potty or changing diapers. But it’s lovely, and offers fascinating views that change every few hours. Not sure of the source for the name, but it has some fun rock features. It also offers the novelty of a fairly decent river that empties into the ocean. Fascinating to see how its course will vary with the tides….it has moved about 300 yards from left to right and back to left again since we’ve been parked here around Thanksgiving. The tide coming in produces interesting waves that travel up the river channel in strange ways…hard to capture with still photos. I’m going to offer you a number of photos I’ve captured at various times in three posts. This first post contrasts the ocean’s antics at different times. 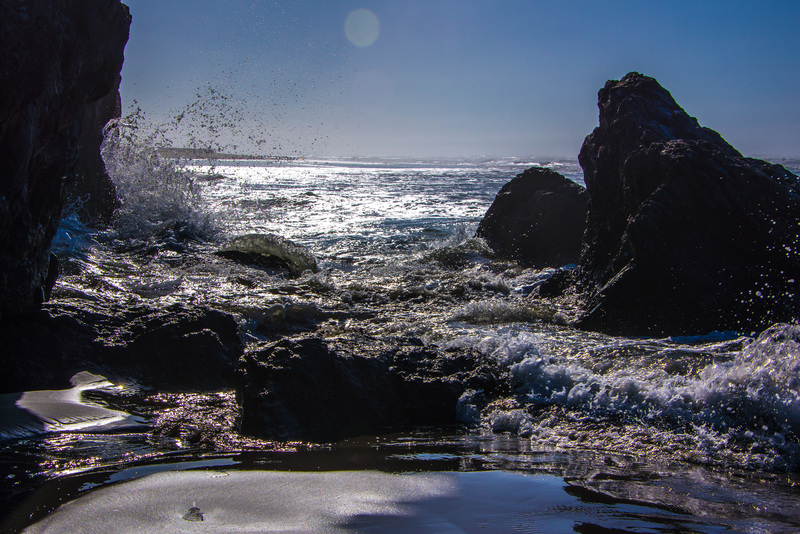 Here, the incoming tide smashes and bounces against rocks at the mouth of the river. 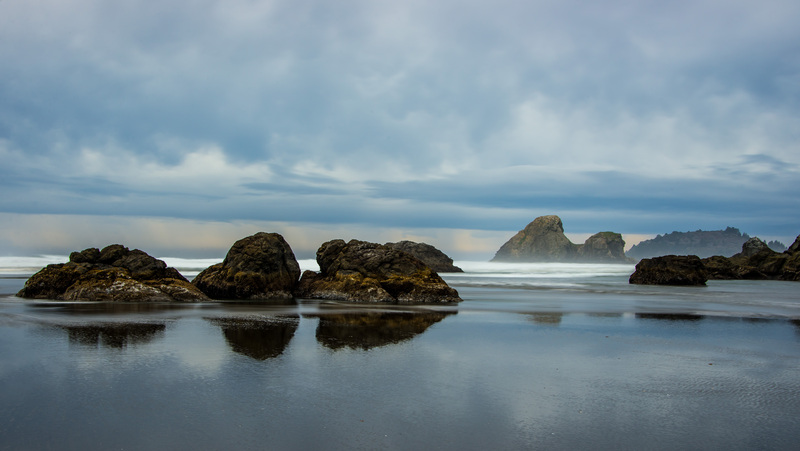 Each of the next two pictures was taken from nearly the same position and with the tide out to nearly its low point, but I was forced to shoot from much farther back in the one with all the waves, because the water would roll…and roll and roll…in!